Rap isn't always considered the most romantic of musical genres, but that's because not every rapper can make you feel all the feels the way that Drake can. The "Best I've Ever Had" rapper isn't about lots of ladies on his tour bus — his music is all about showing that his one special someone is his whole world... even if that lady doesn't exactly exist in real life yet. Drake's most romantic lyrics prove it: Drizzy is a true romantic at heart. Maybe it's the Canadian thing, or the fact that he played the perpetually lovelorn Jimmy Brooks on Degrassi: The Next Generation for nearly a decade. Whatever it is, Drake knows how to win women over with his crazy smooth lyrics. It's no wonder that we're all swooning whenever his stuff comes on the radio — he really is just that good. So what are the MOST romantic Drake lyrics? 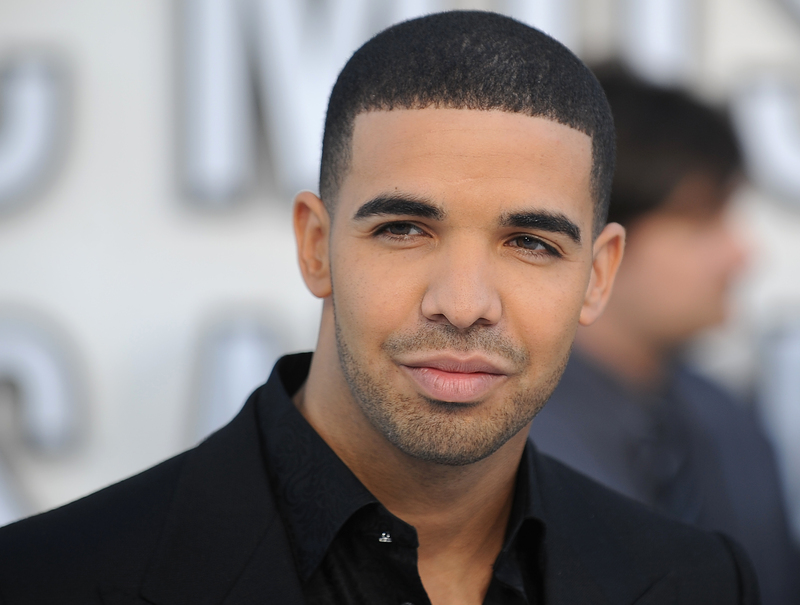 There's a ton to pick from, because, hello, it's Drake. But if we had to choose which lyrics were the most swoon worthy, it has to be the wonderful words from these songs. Check out which Drake lyrics most make us want him to be our celebrity boyfriend, because he's more than just that winning smile and Degrassi pedigree. "I never had you, although I would be glad to/I'd probably go and tattoo, your name on my heart" — "Houstatlantavegas"
I want Drake to get a RiRi tattoo so badly, you guys. "I always thought she was perfect/When she was being herself" — "The Motion"
“I never said it'd be fair/But when you're all alone, I hope you truly know how bad I want to be there” — "A Night Off"
Drake wants to cure your lonely nights. "I got my eyes on you/You're everything that I see" — "Hold On We're Going Home"
"How beautiful our kids would be, girl/I don't need convincin'" — "Connect"
"I'll treat you good girl/Like you're famous" — "Connect"
I want to be wined and dined celeb-style. "I bet if I give all my love/Then nothing's gonna tear us apart" — "Find Your Love"
You are allowed to give me all of your love, Drake. "Sweatpants, hair tied, chillin' with no makeup on/That's when you're the prettiest/I hope that you don't take it wrong" — "Best I Ever Had"
Sweatpants are mad cozy and thank you for recognizing that, you saint of a rapper. "I hate sleeping alone." — "Hate Sleeping Alone"
Translation? "We should cuddle for hours." Though maybe we'd have a more romantic time with Drizzy on the radio. "Tonight was your night/Go get you some lobsters and shrimp" — "Do It Now"
Drake really knows the way to a girl's heart.